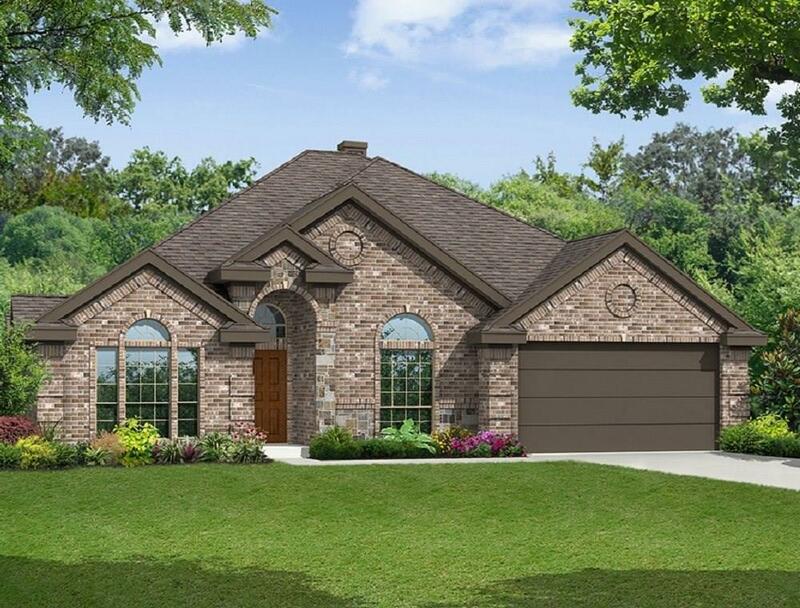 MLS# 14019407 - Built by First Texas Homes - September completion! ~ This single story home is a dream!. Let the wood look tile floors guide you into the open kitchen and airy living room. Get ready to cozy up next to your brick fireplace! This kitchen will prepare you to be host with the most... equipped with a butlers pantry and gorgeous counter tops. Whether you work from home in your study, become a foodie in your upscale kitchen or relax under your covered patio, this Home is a fit!